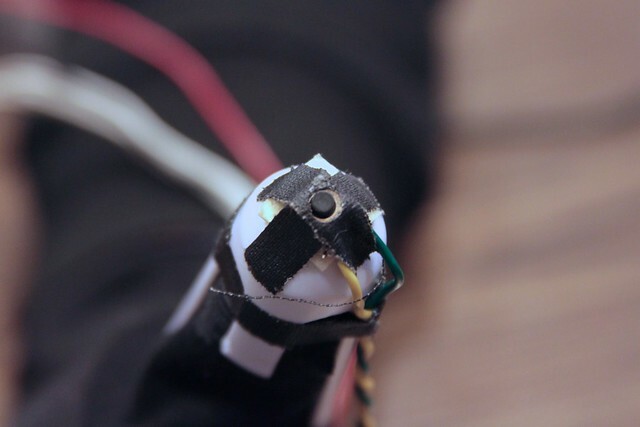 As an initial foray into the world of physical computing and alternative interfaces, I decided to create a piano-like device that flipped the traditional arrangement by placing the trigger upon the user’s fingertips rather than its standard location as part of a control surface. 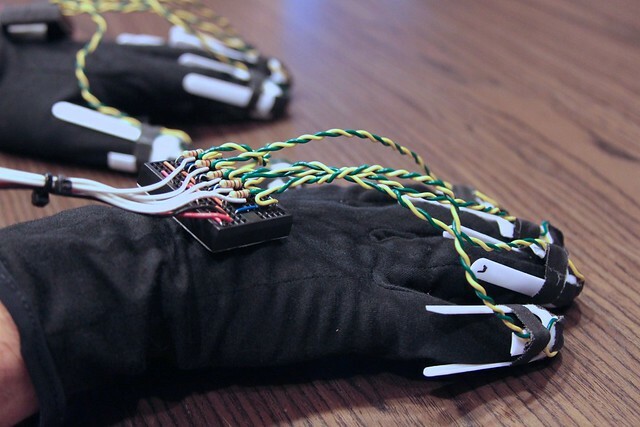 This idea evolved into a set of gloves that allow a user to play a sound by pressing any surface. 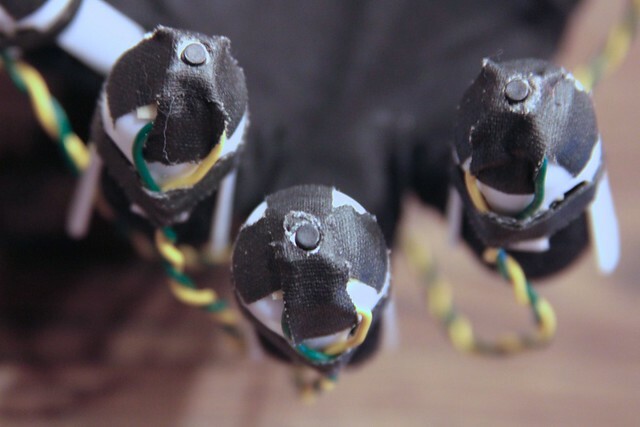 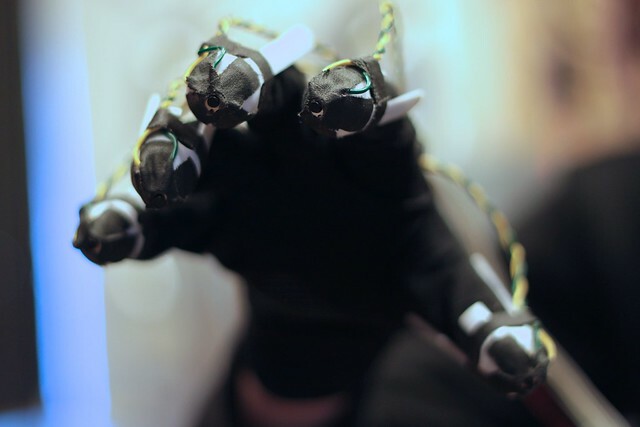 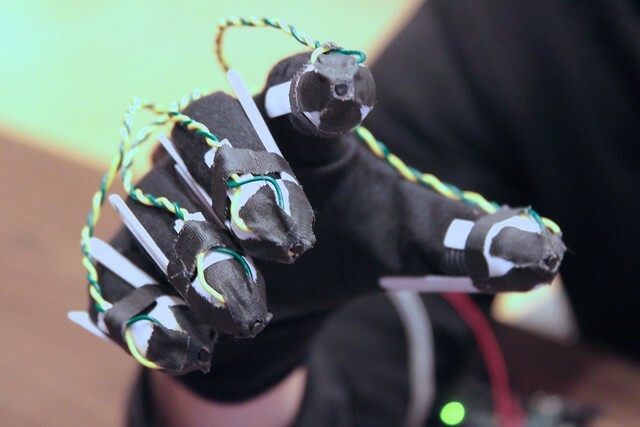 The gloves were built using an Arduino NG along with an array of simple components—mostly purchased from Sparkfun Electronics. 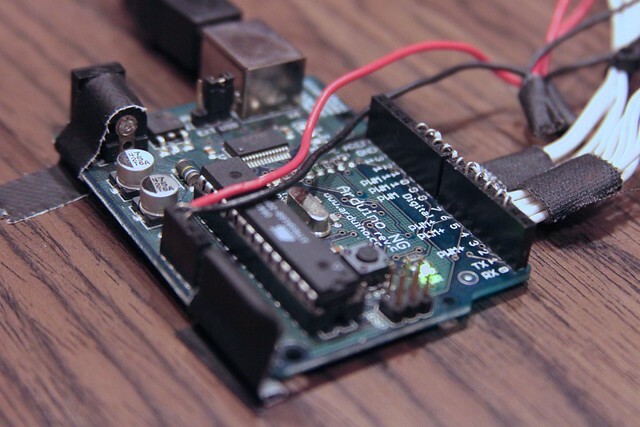 The onboard software sends a simple set of commands via serial over usb to a Processing sketch that actually triggers the sound samples. 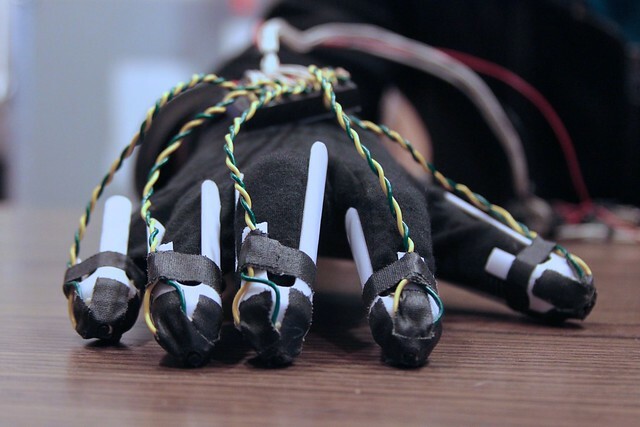 The Piano Gloves exist as a rough prototype at this point and the software supports either mapping each finger to a range of semitones or to notes in a particular scale. 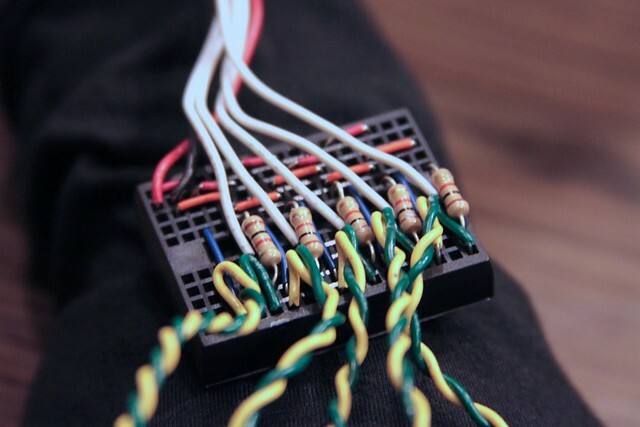 As they were created primarily as a learning exercise, I currently have no plans to develop them further—however, I’d be happy to share the Arduino or Processing code that runs the rig, though admittedly they are extremely simple sketches.